Linda’s Bakery has been my client since 2012 when they were just 8 stores, now they’re 20. With the fast changing pace of website design I recommended a template upgrade in 2016 with a more modern template while retaining most of its style. All images are Linda’s own which makes the difference. 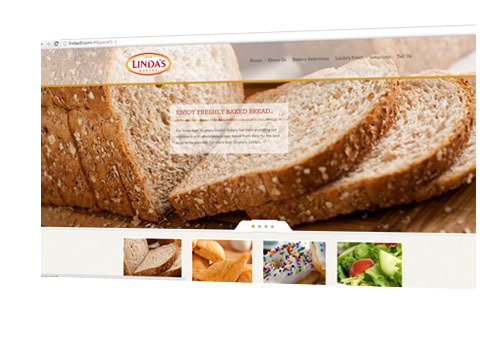 Many potential clients like the Linda’s Bakery website for its minimal appearance and elegant look and feel.